Eyeing the Exits? After the Democratic wave in 2006, roughly two dozen Republicans decided to retire instead of sticking around in the minority. Some Republicans are concerned that could happen again (which could be a problem after the huge wave of GOP retirements in the 2018 cycle). It’s still a little early, but there are already rumors swirling about members looking to leave, and some Republicans are working to make sure they stick around. *Bookmark* Already trying to plan your vacation for next year? 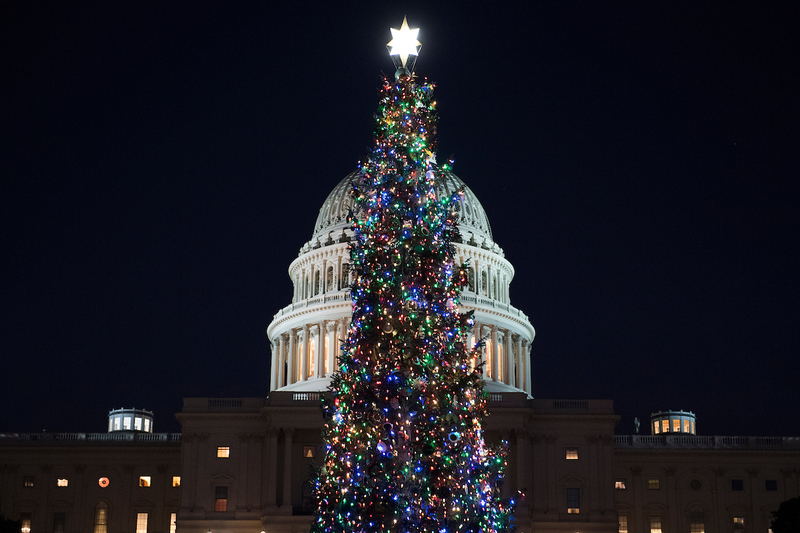 Roll Call can help with this handy congressional calendar, showing when the House and Senate are expected to be in session in 2019. Did You Forget about ME? The drip-drip coming out of North Carolina’s 9th District has dominated the residual 2018 election headlines, but results haven’t been certified in Maine either. GOP Rep. Bruce Poliquin challenged the legality of the ranked-choice voting system, under which he lost to Democrat Jared Golden last month in the 2nd District. A federal judge rejected Poliquin’s challenge on Thursday. The GOP incumbent also asked for a recount, and Simone goes behind the scenes of what that process looks like day to day. Let’s Get Digital: This campaign cycle saw a spike in digital ad spending and some new efforts from party organizations online. But even though analysts have been expecting digital spending to drawf television, that hasn’t happened as yet. And it probably won’t happen anytime soon. Staffing Up: New DCCC Chairwoman Cheri Bustos announced her senior staff for the 2020 cycle Thursday morning, bringing in her former campaign manager and Iraq War veteran Allison Jaslow as the committee’s new executive director. (That means the executive directors of both House campaign committees will be women.) Check out who else is heading over from Team Bustos and who she’s promoting from the DCCC’s current team here. Stu Rothenberg is back with another end-of-the-year winners and losers column. From biggest winner to worst hair, Stu gives you the nominees and picks his winners in seven categories. Disagreements not welcome. Are you ready for a 2020 Democratic primary showdown?? No, not the one for the White House. Primaries are already starting to shape up for some House Democrats who oppose or once opposed Pelosi’s bid for Speaker. Nathan breaks down the intraparty contests on the horizon in his latest column. Meanwhile, The Charlotte Observer reported this week that election officials in Bladen County — the same county with most of the absentee ballot irregularities — tallied early votes before Election Day and allowed outsiders to view them, which is a violation of state rules. “We are pretty certain that happened,” North Carolina GOP executive director Dallas Woodhouse said Tuesday regarding the alleged leaked early vote totals. He said a new election would be “appropriate” if that’s confirmed. Florida’s 15th District was one of those open seats in reliably Republican territory that came on the national radar late in the game. Republican Roger Spano ended up defeating Democrat Kristen Carlson by 6 points. But even before he’s sworn in, he faces bipartisan calls for a House Ethics Committee and Federal Election Commission investigation into how he financed his campaign. And now that’s complicating his efforts to hire staff. Emily Kopp has the latest. What better way to end our last newsletter of the year than with some cute pups? 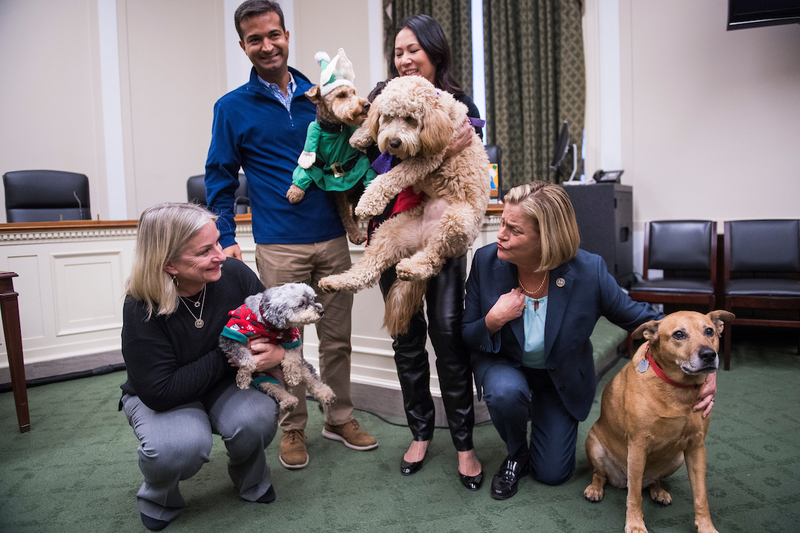 Two Floridians, GOP Rep. Carlos Curbelo and Democratic Rep. Stephanie Murphy, had a “bipawtisan howliday” party and our dogged colleague Lindsey McPherson was there to document the shindig. Talk about a ruff assignment!